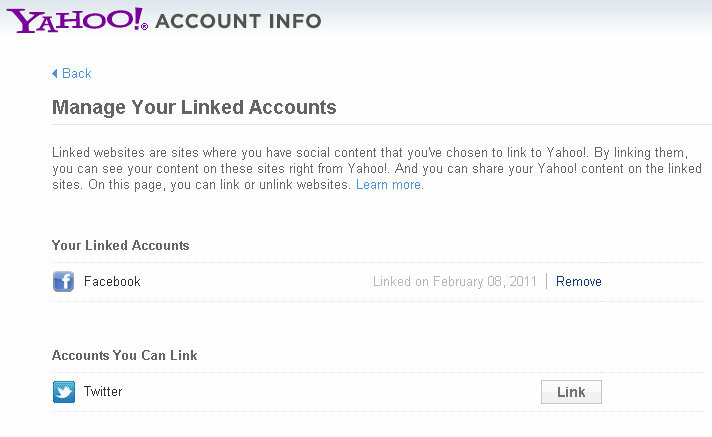 I guess this is something that is no longer new but, just like me who would not update my Yahoo! Messenger regularly this can be an exciting feature of YM version 11. I have been scouting for an IM app for the past few weeks that can integrate both my Yahoo! and Facebook contacts. 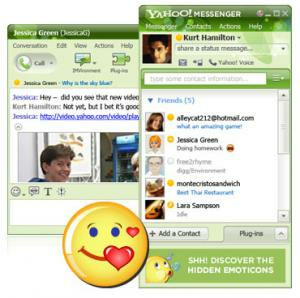 Having an app that would allow you to chat with both your FB friends and YM contacts would be easier. I have tried IMO for Chrome, Trillian and a few more but it did not make me happy at all. IMO would disconnect my FB account once in a while; while Trillian which has a feature that I like – tabbed messaging, does not show my YM contacts as I want it to be (only displays the Yahoo! ID). So I uninstalled both. While experimenting the tabbed browsing tweak for YM, which did not work also, I uninstalled version 10 from my laptop and tried version 11. Upon installation, I learned that you can now actually integrate your Facebook account with it and share your Yahoo! updates to Facebook too. Just like any apps that you install and allow in your Facebook, you just have to click that “Link to Facebook” button in the messenger window and you’re all set! Very easy. From there you can now chat with your Facebook friends without having to launch your browser and login to your Facebook account. Yahoo! says you can also integrate your Twitter account which I have yet to try. But in the meantime, I already have a solution to my problem. Just one application running that will allow me to communicate with both my Facebook friends and Yahoo! contacts.